The Justice League (in all its incarnations) has gone up against many formidable foes over the decades. The Legion of Doom, Darkseid and his Parademons, the Crime Syndicate, Doomsday, Despero, White Martians, The Injustice League, Secret Society of Super Villains, and of course their first foe way back in 1960, Starro. 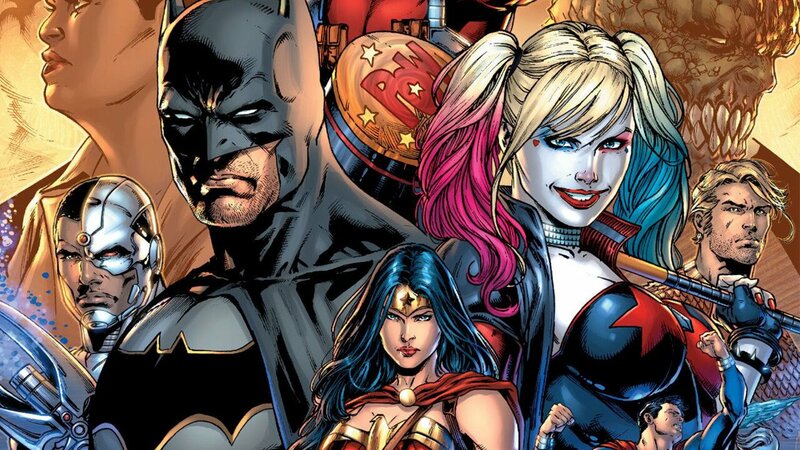 But in DC Comics Rebirth, they must face off against their most motley crew yet: the Suicide Squad. Suicide Squad has come to prominence over the last few years and hit its pop culture zenith with the Suicide Squad feature film last August. Couple that with the release of a Justice League movie this Fall and DC has a no-brainer—pit two of their most popular teams against one another and you might have a hit on your hands. Luckily for fans of DC Comics, they do. Justice League vs. Suicide Squad begins with a security breach at a penitentiary hidden away in Death Valley. What has been unleashed will cause a headache for both the Justice League and Suicide Squad, but mostly for Amanda Waller. At this same time, Batman lets his Justice League super friends in on Waller’s secret pet project: the Suicide Squad. They have been working right under the Justice League’s nose and it’s time to pay up. Thus setting up the Justice League vs. Suicide Squad Round 1. But this is only half of their troubles. What has been unleashed from the Death Valley pen will cause the greatest fervour and the fate of the planet is at stake. Justice League vs. Suicide Squad is a terrific mini-series. Its main storyline follows both teams in Justice League vs. Suicide Squad #1-6. If that wasn’t enough, there are 5 comic tie-ins: Suicide Squad #8-10 and Justice League #12-13. That’s a total of 11 comics. This could easily be too much—a series that goes on and on and on. But it never falls into that routine. The story is tight and only complemented with the Suicide Squad and Justice League side issues. Those issues add fantastic layers to the main conflict, following the lives of Max Lord, Lobo, Steve Trevor, Killer Frost and the one and only, Amanda Waller. Justice League vs. Suicide Squad #1-6 are written by Joshua Williamson. Tim Seeley pens the Justice League tie-ins, with Rob Williams and Si Spurrier penning Suicide Squad tie-ins. Williamson, taking on the meat of the storyline, has created a gem. For a story of this magnitude, housing these two colossal teams could have gone sideways fast. Countless stories with too much billing end up falling flat. That never happens with Justice League vs. Suicide Squad. The tie-ins bring a depth to both the main storyline and character development. The only issue with Justice League vs. Suicide Squad is the climax. Ending the worldwide threat happens a little too quickly and with some predictability. Aside from that, the series is the one to read thus far in 2017. Justice League vs. 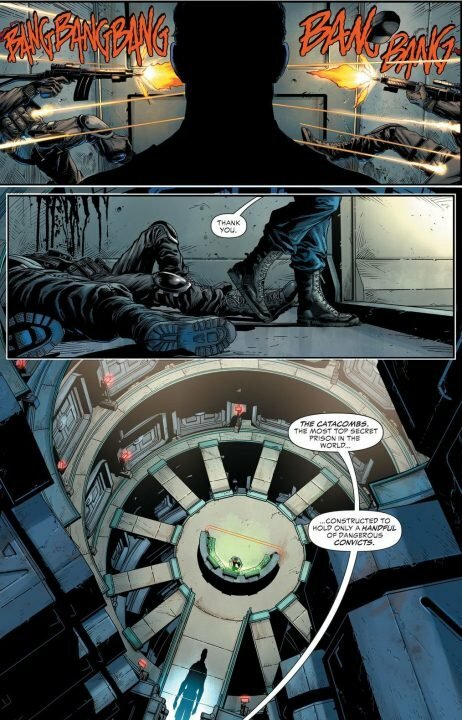 Suicide Squad uses a unique approach with its illustrators. Each of the 6 issues utilizes a different artist. 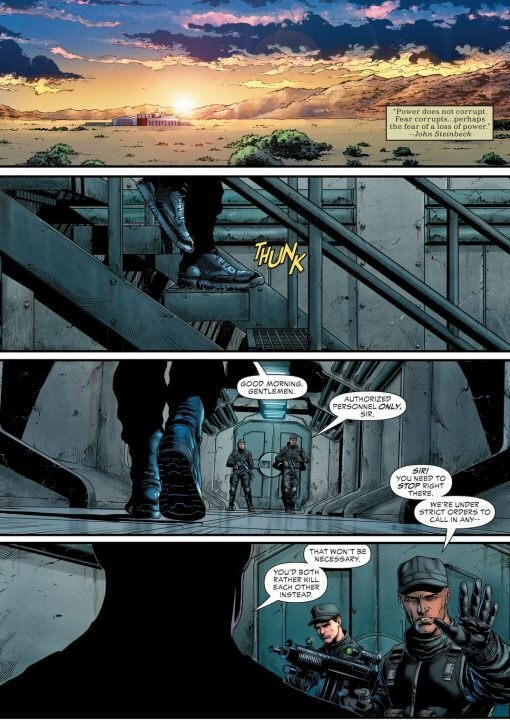 Illustrators Jason Fabok, Tony S. Daniel, Jesus Merino, Fernando Pasarin, Robson Rocha, and Howard Porter all have their piece of the superhero pie. Their work transitions so well from one issue to the next it’s hard to tell when there was a change of artist. Not to be outdone, illustrators Christian Duce and Scot Eaton dazzle in Justice League; Riley Rossmo, Giuseppe Camuncoli, Francesco Mattina, and Giuseppe Cafaro do an exceptional job bringing Suicide Squad to life. Make a new New Year’s Resolution for yourself. If you haven’t read Justice League vs. Suicide Squad yet—do it! It’s time well spent. If you haven’t read Justice League vs. Suicide Squad yet – do it!